While matcha has gained recent popularity in the Western world, it has been a staple of Japanese and Chinese culture for hundreds of years. Unlike traditional green tea, which involves green tea leaves that are steeped in hot water, matcha is a pulverized powder made from green tea leaves that is added to a liquid. It is believed that matcha was developed during the Tang Dynasty over one thousand years ago. Because tea leaves were capable of growing stale and rancid, farmers began to roast and pulverize these leaves into a fine powder as a preservation technique. Within a few hundred years, Zen Buddhists were cultivating the green tea plant through special harvesting processes in order to develop a matcha that had high levels of healing benefits. Chinese warriors began to discover the benefits of drinking matcha before their battles. Because this beverage encourages enhanced physical energy, extra alertness and improved brain function, matcha became the ceremonial drink before battle. Eventually the Zen Buddhists who cultivated matcha brought it over to Japan, where it continues to be popular to this day. Matcha is made of green tea leaves that have been grown in the shade. Farmers believe that this method allows the tea to maintain its health benefits. Because the leaves are not exposed to sunlight while they grow, the growth process is much more gradual, preventing heat and sun exposure from damaging the tea’s nutritional content. After the leaves are harvested, they are laid to dry just like traditional green tea. Once they are fully dried, they are pulverized into a fine powder using stone. This process of pulverizing takes a long time because if the stones get too warm, the aroma of the tea will be dramatically altered. For more info you can read this article: What is matcha? which goes into further detail. What Are the Benefits of Drinking Matcha? 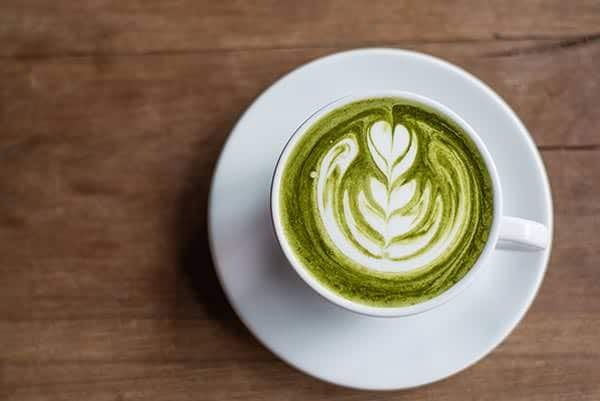 Matcha tea has gained popularity in Australia over the last few years mostly due to its astonishingly high level of antioxidants and as an alternative to caffeine/coffee. For centuries, matcha has been used as an effective stimulant. That’s because matcha contains high levels of L-Theanine which is similar to caffeine. It’s very beneficial to drink matcha in the morning in order to gain sudden mental alertness and enhance focus abilities. Matcha is a physical stimulant as well. This tea has been used by Chinese and Japanese soldiers for centuries in order to gain physical strength and stamina before going into battle. Matcha can provide you with a morning boost of energy without giving you the nervousness and jitters that are so common with coffee beverages. 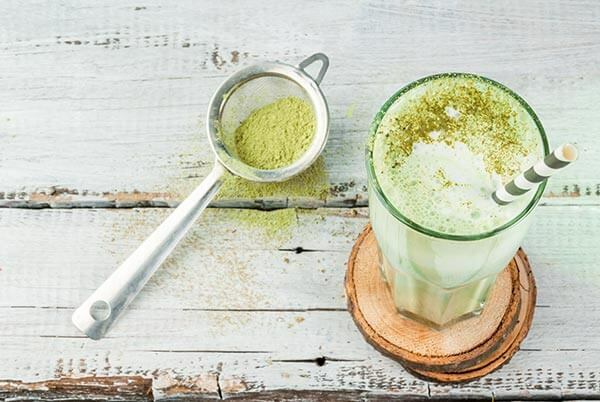 Many people drink matcha as a weight loss supplement. That’s because matcha naturally boosts the body’s metabolism, allowing it to burn more calories per hour. Unlike many metabolism boosters on the market, matcha will not affect your heart rate and blood pressure, making it a totally safe weight loss aid. Now that you know why matcha has been so popular for so many centuries, it’s time to apply it to your daily diet. Matcha tastes great on its own when dissolved into hot water. However, there are many fun and unique ways to consume it regularly. One of the most popular ways to enjoy matcha is to use it as a latte ingredient. Many people drink coffee-based lattes every morning in order to get a boost of physical and mental energy. However, lattes made with matcha have loads of additional health benefits and contain less caffeine. High amounts of caffeine have negative effects on the body and can make you feel anxious. That’s why it’s a great idea to switch to matcha lattes instead for a boost of health and energy. This delicious latte will help you start your day off right with a boost of energy and your daily dose of goodness. Pour the sugar and matcha latte powder into a mug. Add the hot water and stir vigorously until the powder and sugar are dissolved and there are no lumps. Whisk in the warm milk. Are you ready to try your own matcha chain latte? 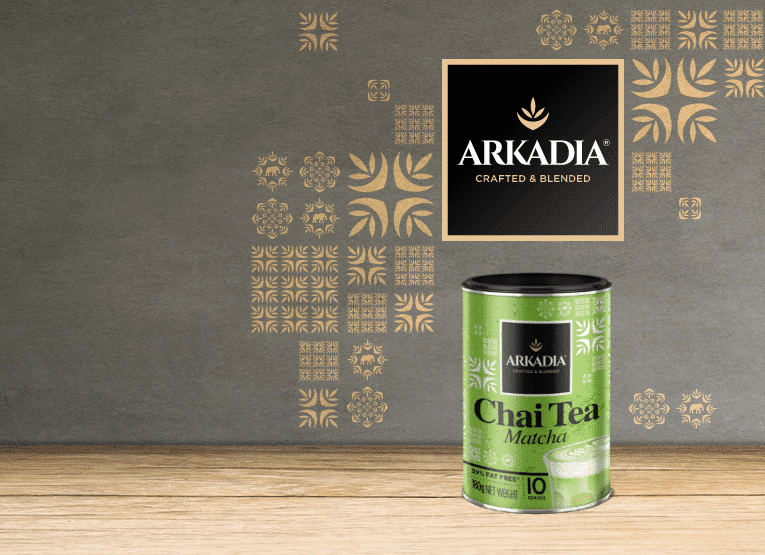 Grab some of our Arkadia Chai Matcha Lattetoday and remember you will receive free delivery on all orders over $60!